Teleradiology... is it Beneficial?  - ONRAD, Inc.
14 Aug Teleradiology… is it Beneficial? Over the past few years, teleradiology services have evolved at an impressive rate. Although this practice initially started off as a form of convenience, it is now considered to be indispensable when it comes to supplementary services in the medical field. Teleradiology is one of the branches of telemedicine. It comprises of the transfer of patients’ radiological images from one place to another electronically. This is essential for radiologists that may be in distant locations and need to see as well as interpret images of patients before giving them the status of their health. The technology requirement for teleradiology has facilitated the transmission of these images from one location to another. This has made hospitals much more efficient when it comes to providing timely care for their patients. One thing to note about radiologists as well as other sub-specialists is that they are not always available at medical centres for consultation. This is especially true during the night or during weekends. By having the technology requirements for teleradiology, these professionals can work round the clock, no matter where they are, thus ensuring patients receive the care they need at all times. What are these technology requirements for teleradiology? This process works by first producing radiology images of the patients in question. These radiology images include x-rays, MRIs and so on. Once the images are processed, they are transmitted using software that is specialized to the radiologist that is off-site. Once the radiologist receives the images, he can then proceed to come up with a preliminary report especially of the case is an emergency. They can also compile a final report in a short a time as thirty minutes! There are numerous benefits to having the technology requirements for teleradiology. For one, patients can now benefit from rapid diagnosis as the reports on their health are compiled in a short period of time whether the radiologist is at the hospital or not. There are a number of companies that will provide these services exclusively this making the interpretation of the images and the generation of reports by professional radiologists available to one twenty four hours a day. This has significantly improved on the care of patients as quality output can be attained from anywhere and at any time. Another benefit of having the technology requirements for teleradiology is that there is immediate coverage for a range of sub-specialities such as cardiac angiography, muscoskeletal imaging, paediatric neurology and more. All these would typically be unavailable past regular working hours and patients would have to wait for business hours to resume before a radiologist could interpret these images. This practice has gone a long way in helping radiologists and physicians alike in putting a premium on timely patient care that does not compromise on the quality of the care regardless of one’s location. The technology requirements for teleradiology are not only beneficial to patients but also beneficial to the hospital in terms of financial savings. Practices such as moonlighting as well as part time positions can now be eliminated from the hospital. This is because if the hospital radiologist lives far away, they still can be able to make their diagnoses from the comfort of their home without having to drive to and from the hospital each time their services are needed. This also benefits the referring clinician as they will be able to get rapid assistance whenever they need it which leads to efficient patient care. Hospitals that lack a resident radiologist also get the chance to consult with other radiologists who may be working at different hospitals at a moment’s notice.